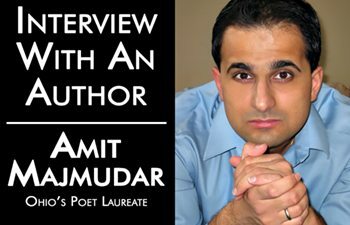 Submitting Your Poetry - Writer's Relief, Inc. There are many wonderful literary magazines that are actively publishing creative writing—more than we’ve ever seen since Writer’s Relief started helping writers get published back in 1994. So it can be hard to determine which literary journals will be a good fit for your poetry, short stories, and personal essays. What’s a writer to do? Word count: If your poem or story is too long for an editor’s submission guidelines, then that’s it—game over. Your piece is not a good fit. That’s why we recommend keeping your submissions as short as possible to ensure you’ve got the biggest number of potential literary markets available for your writing submissions. A connection with the editor’s published material: If reading through the pages of a literary journal leaves you eager to connect with the editors, then you may have a great match on your hands. The company you’ll be keeping: A glance at the biographies suggests you would be proud to have your author bio listed among the published bylines—whether that means you’re among promising new writers or talented veterans. Format: Both print and online literary magazines have their advantages. Some writers treasure the feel of a print journal in their hands. 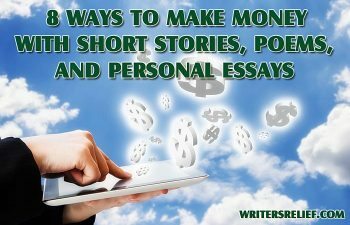 But keep in mind: If you’re hoping to build your reputation as a writer, there are many practical advantages to earning a spot in an online literary journal. Also, consider the layout. Does the literary magazine’s aesthetic speak to you? Would you be proud to showcase your work in this format? Your preference is part of your decision about whether a literary magazine is right for you. The literary journal is well maintained and up to date: Literary journals that haven’t published in years, or that feature poor web design and broken links, or that don’t appear conscientiously cared for are lit mags you might want to skip. Learn more about how to assess a literary journal’s reputation. Editors who regularly nominate for significant awards: Many literary journals nominate for awards like Best of the Web, the Pushcart Prize Anthology, and the Best New American anthology series. Even if a literary journal’s circulation is modest, the rewards of earning a nomination from an editor are priceless. Your spidey sense isn’t tingling: Unfortunately, bad literary journal contracts do exist. There are editors who neglect their responsibilities and leave you in the lurch. 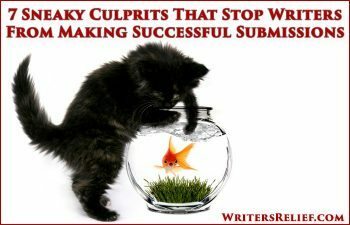 Some editors have even been known to publish submissions without securing the author’s permission first. If you don’t have a good feeling about a given literary magazine, skip your submission. There are plenty of reputable literary journals to choose from if you know where to look. 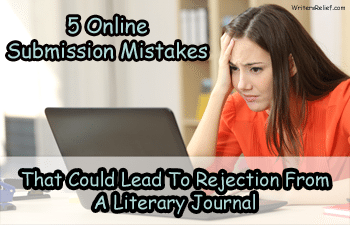 If you’re too nitpicky, you run the risk of rejecting every literary magazine that isn’t “perfect.” If the publication is trustworthy, you’ve got nothing to lose by making a submission. We can’t tell you how many times we’ve heard one of our clients say, “I’m not so sure that my work is a shoe-in at this literary magazine” or “I don’t know if this lit mag is impressive enough for my writing,” only to receive a fabulous acceptance letter from the editor or a nomination for a very well-known literary award from a “small” magazine. Remember, if you receive an acceptance letter and you’re not thrilled about it after further conversation and consideration, you can always decline the offer of publication. Learn more about the advantages of casting a wide net when making submissions to literary magazines. Question: What do you look for in a literary journal?